BRIGHTON, Mich - Ford Seeks Expanded Adoption of the Inflatable Safety Belt by patenting the technology and offering it to other companies and industries, including some competing automotive manufacturers. Ford is hoping with an increased availability in licenses, there will be a wider adoption of enhancing passenger safety with inflatable safety belts. Ford Motor Company has been committed to standardizing technology which goes beyond Ford customers. As more companies that get onboard with this new technology, the larger the improvement in travel safety and the amount of passenger injuries that occur in seated-passenger transportation across the board. 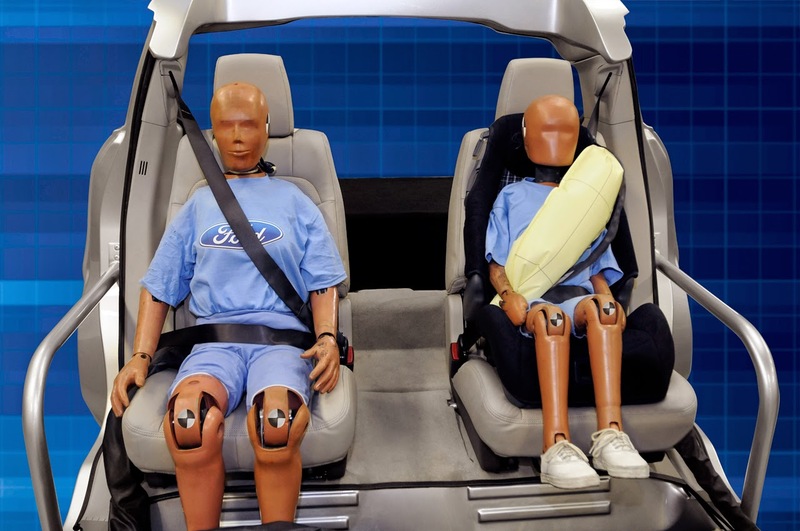 Ford Seeks Expanded Adoption of Inflatable Safety Belt, just four years after the debut in 2010. Ford has started expanding availability of the safety belts on Ford and Lincoln vehicles. As of now, the Ford Flex, Explorer and Fusion contain the new technology and soon we will see it on the 2015 F-150, Lincoln MKT and MKZ. The inflatable safety belts work just as a standard seat belt would, until the instance of a crash. The seat belt then deploys over the passenger's torso and shoulder, distributing the pressure over a larger area than a traditional seat belt. When pressure is dispersed to a larger area, it reduces the amount of weight on the passenger's chest and helps to control the head and neck motion. If you're interested in acquiring a vehicle with the latest inflatable safety belt technology, give Brighton Ford a call. We are more than happy finding you a safe, top-quality vehicle so that you can drive away with ease. Brighton Ford is located at 8240 Grand River Ave. just north of I-96 in Brighton. We are a family owned and operated business that strives for customer satisfaction. For more information on Brighton Ford visit BrightonFord.com or give us a call at (800) 836-8206. Brighton Ford's Pre-4th of July Used Car Blowout!